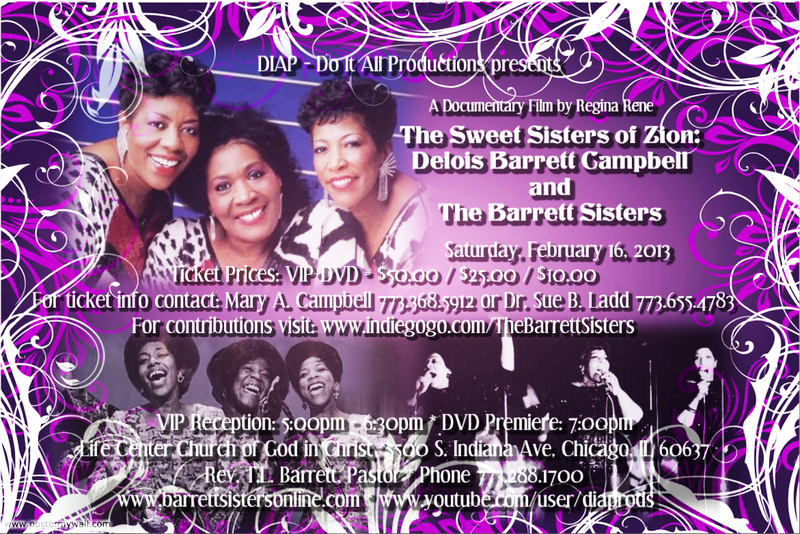 Enter here to order your "Sweet Sisters of Zion" documentary DVD today! 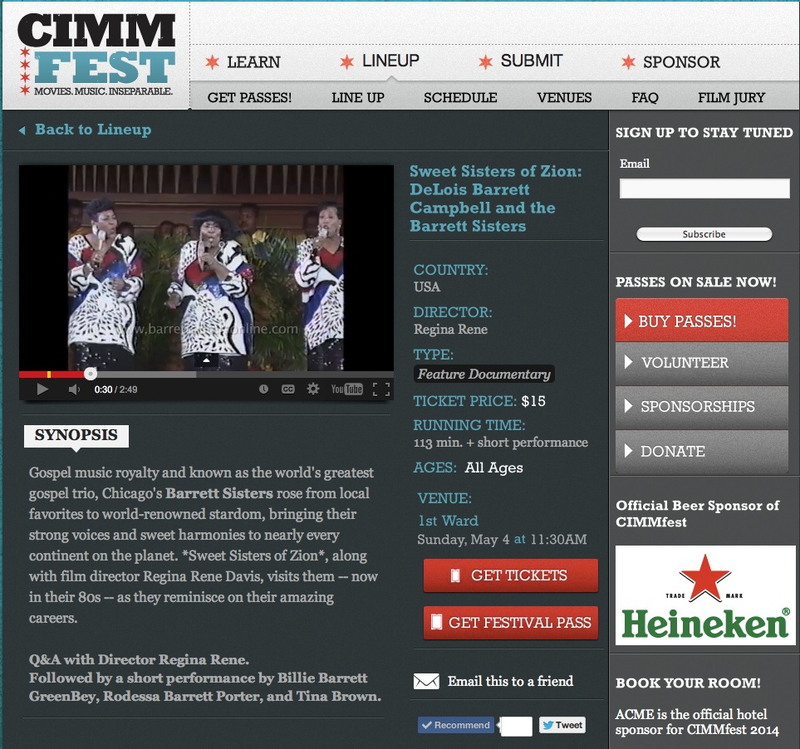 "The Sweet Sisters of Zion"
is a Feature Documentary Film in CIMM Fest 2014!! Producer/Director Regina Rene talks about her documentary film "The Sweet Sisters of Zion: Delois Barrett Campbell & The Barrett Sisters" with Tampa, FL inspirational talk radio host Pete O'Shea of WTIS 1110am. Please come and celebrate with us as we honor the Gospel Music legacy of Delois Barrett Campbell & The Barrett Sisters on film! Thank you to everyone who contributed to our Indiegogo fundraiser campaign including Ms. Libra Boyd. We reached our goal which made the premiere screening at Life Center COGIC a wonderful success! An independent fundraising campaign has also been launched on Indiegogo.com to help cover the mounting expenses of getting the long awaited documentary to The Barrett Sisters' devoted fans. Your contribution will make possible the release of "The Sweet Sisters of Zion: Delois Barrett Campbell and the Barrett Sisters", which will be a dream come true for us. Your money will be used to defray the costs of filming, packaging, promoting, and distributing the movie, as well as hosting the premiere screening of the movie on February 16, 2013. We've had to postpone the release date a few times, but with your help, there will be no more delays! Rev. Harold E. Bailey on the PCC Network. Their interview segment starts at 7:14.